Transitioning to natural skincare isn’t always easy. If you’ve used conventional products for years, it can take some time for your skin to eliminate the build-up of chemicals. Sway is hoping to help with that transition with a line of detoxing natural deodorants and new vegan and cruelty-free skincare, all of which is primarily made from apple cider vinegar. Sway’s mission is to gently help your body adjust from a lifetime of personal care products laden with toxins, synthetic fragrances and more icky ingredients to items made from natural ingredients, like apple cider vinegar, witch hazel, aloe vera and rose water. While anyone can make the switch, Sway’s products aid your body in detoxing years of build-up of chemicals, such as the aluminum used in antiperspirants. Moving from conventional body care items to plant-based products can often cause itchiness and irritation, but using carefully selected ingredients, Sway makes the transition comfortable, quick and easy. 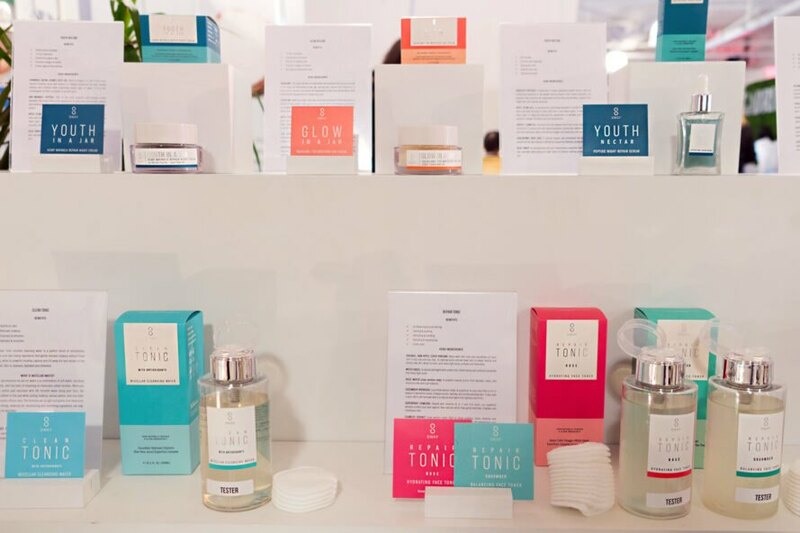 We tested Sway at the Indie Beauty Expo in Los Angeles, and we were blown away. Founder Rebecca So is as passionate about skincare as she is about natural ingredients — she helped us try all of her products and explained the ingredients and health benefits of each and every one. Naturally, we decided to push the products to the limit by trying them for several weeks at home, the office, the gym and any other general, everyday situation we could think of. 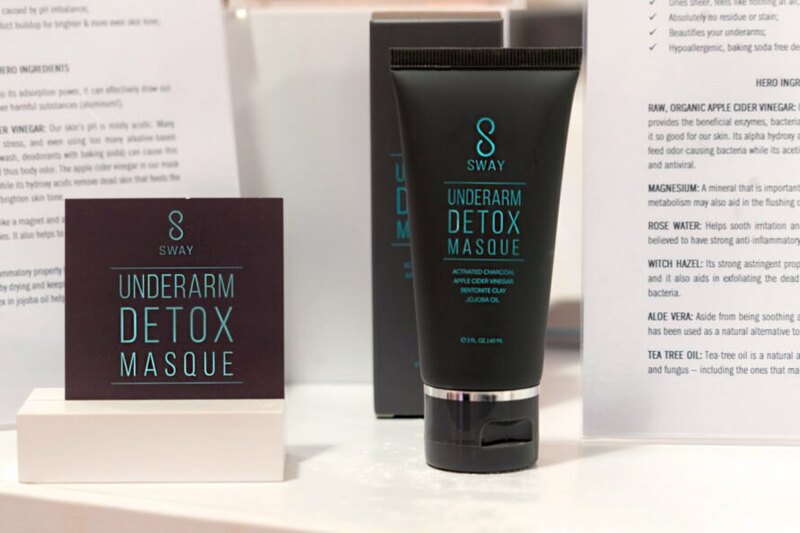 Sway’s claim to fame is a detoxing deodorant as well as an armpit mask. The deodorant’s main ingredient is organic apple cider vinegar. While the deodorant is lightly scented (we tried vanilla), it’s clear upon opening that ACV is the star of the show. Luckily, this smell dissipates quickly. Interestingly enough, this deodorant was originally developed as a face toner, which shows just how gentle it is for skin. Alone, the deodorant works best if you reapply a couple times throughout the day, especially if you are in the process of ditching antiperspirant. While it doesn’t block sweat (and it shouldn’t — sweating is a natural bodily function! ), it does keep unpleasant odors at bay. It does take awhile to dry, so it is recommended that you apply it right after a shower and as you get ready for the day. This does make a reapplication more difficult, but Sway offers a dry dusting powder that helps the deodorant last longer. We have not tested the powder, but it would be great to help cut back on the need to reapply the deodorant. The armpit mask is completely game-changing. It’s a charcoal-based mask, not unlike a mud mask you’d use to wind down on a lazy Sunday evening. Other impressive ingredients include the brand’s beloved ACV, as well as bentonite clay and jojoba oil. Together, this roster of plant-based materials helps remove chemical build-up, particularly aluminum, from under the arm. It smooths dryness and flakiness and makes transitioning to natural deodorant simple. Long-term use of antiperspirant is also known to cause underarm discoloration, and this mask helps even out the skin tone in this area. It’s easy (and admittedly pretty fun) to apply, and a quick hop in the shower rinses the mask and all the gunk away. Sway also debuted a brand new line of natural skincare at IBELA, and we’ve been talking about it ever since. Particularly appealing, the cucumber face toner, the Vitamin C serum and the daily moisturizer have all become integrated into our all-natural morning skincare routines. The texture of each is very light, while still providing plenty of moisture to dry, wintry skin. The smell is nice, too — each offers a refreshing, slightly fruity scent. Editor’s Note: This product review is not sponsored by Sway. All opinions on the products and company are the author’s own. Sway's natural deodorants are vegan and cruelty-free. The skincare and deodorants are all primarily made from apple cider vinegar. 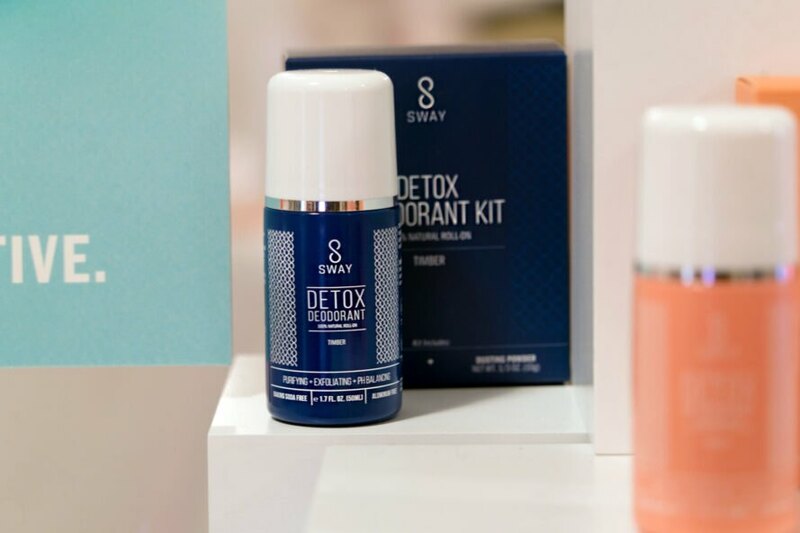 Sway’s products aid your body in detoxing years of built-up chemicals. Sway debuted a brand new line of natural skincare at IBELA.